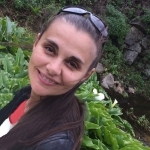 Katarina’s psychotherapy practice integrates Transpersonal and Jungian Psychotherapy, Body Psychotherapy and Psychosynthesis. She has a special interest in work around somatic expression of emotional issues and trauma. In addition to her private practice, where she works one-to-one with clients, Katarina also facilitates psychotherapeutic and personal development workshops and groups, as well as dance and movement and meditation workshops. 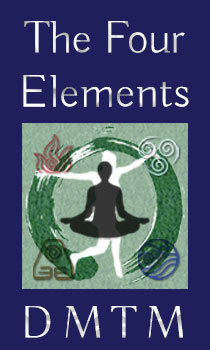 She is the founder of Four Elements Dance & Movement Therapeutic Method. Katarina moved from former Yugoslavia to the UK in 1994 where she studied ‘Health Sciences & Homeopathy’ at the University of Westminster. In 2007 she trained in Transpersonal Psychotherapy at CCPE (Centre for Counseling and Psychotherapy Education) in London and completed post-diploma psychotherapy training at the Re-Vision, Centre for Integrative Psychosynthesis. She also trained in Group Facilitation first at Re-Vision and more recently at the Gestalt Centre in London. Katarina worked at several clinics across London over 15 years, including the Polyclinic at the University of Westminster. She is currently practicing at Chiswick Psychotherapy, Counseling and Homeopathy Clinic in West London, which she founded in 2003. In her private practice, Katarina works with people from all walks of life, including clients who want to explore their relationship problems, loss of meaning or direction in their life, to those suffering with stress related illnesses, trauma, anxiety & mood disorders. She also works with people who are looking for spiritual guidance and those who want to explore or reconnect with their creativity. Katarina had been practicing various forms of meditation for over 20 years, so she was particularly interested in how she could bring the therapeutic elements of meditation into psychotherapeutic work. Consequently she started using mindfulness meditation and visualisations with clients who suffered from depression and anxiety, which brought a great relief to many. Katarina is also a musician and free form dancer and uses creativity, movement and creative imagination in therapeutic work with her clients. She was extremely interested in bringing dance and movement and body-oriented practice into her group therapy work, that being the practice that she personally found most helpful at many challenging times in her life. She discovered that free expression through movement and dance offered clients a great platform to explore themselves in a new connected way (body, mind and emotion) and to evolve from processing verbally and conceptually, to a greater and more holistic self-awareness. Tasha has been facilitating movement based personal development workshops for many years. She is an experienced integrative movement psychotherapist and supervisor, and teaches dance movement psychotherapy internationally. 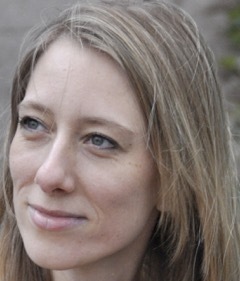 Tasha also facilitates various continued professional development trainings in the UK for therapists and coaches, and is the co-editor of ‘Working Across Modalities in the Arts Therapies: Creative Collaborations’.